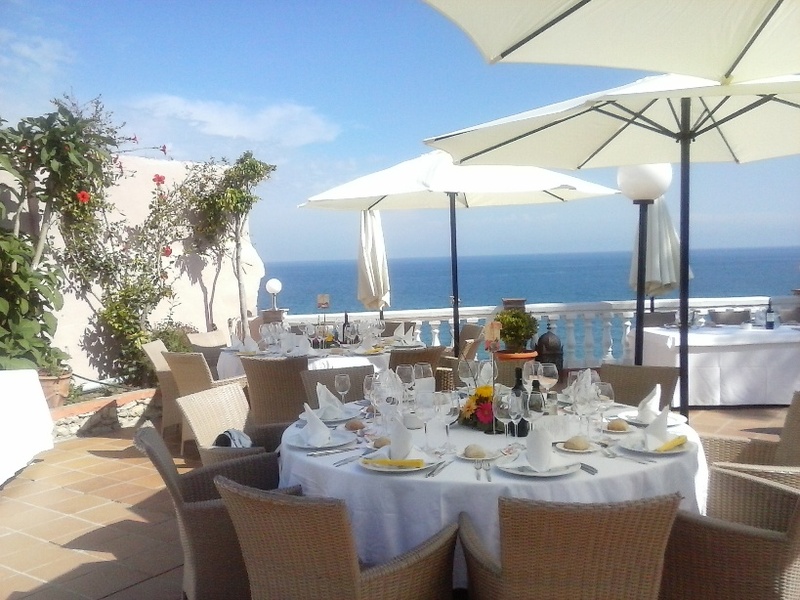 Another excellent choice, right next to the Balcon de Europa. 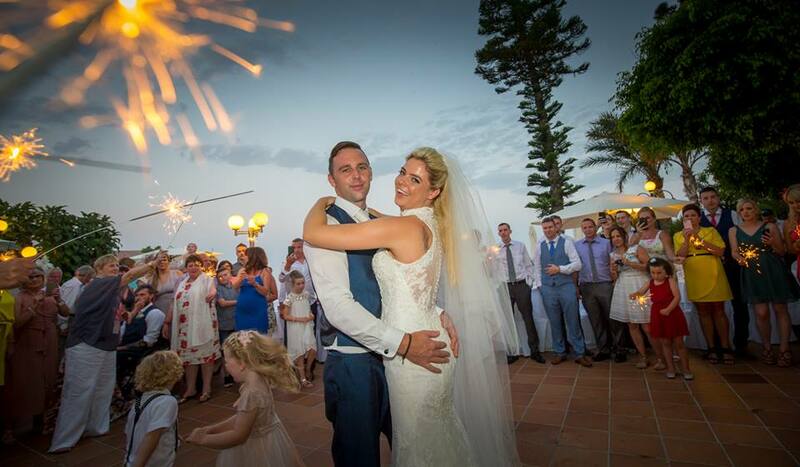 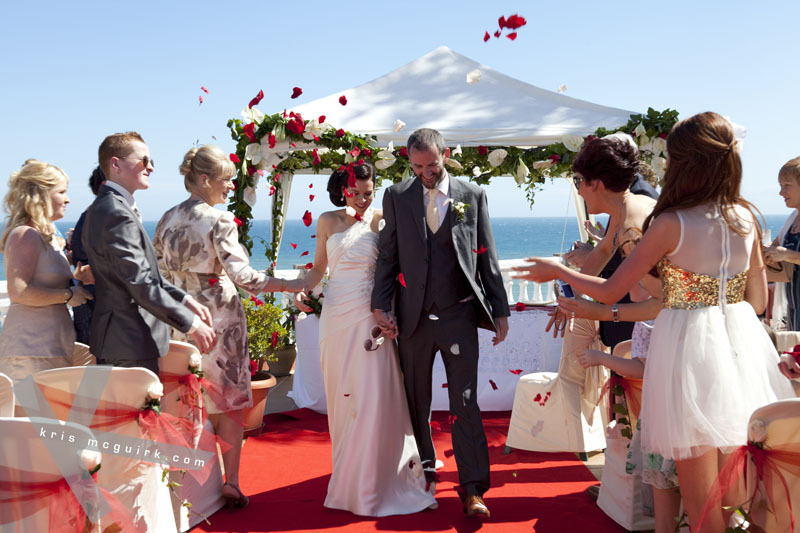 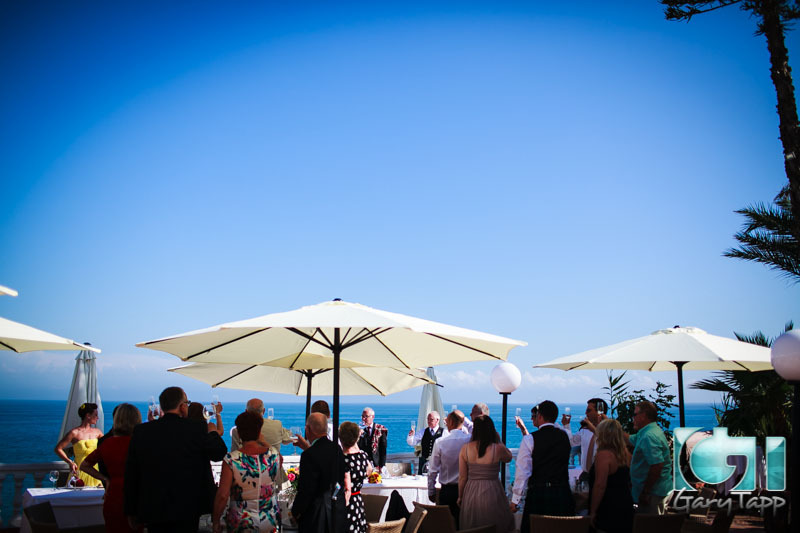 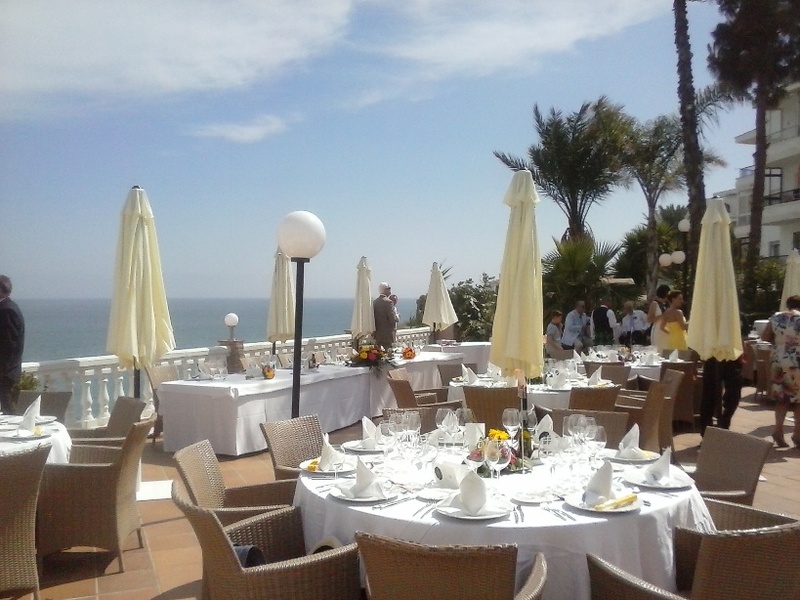 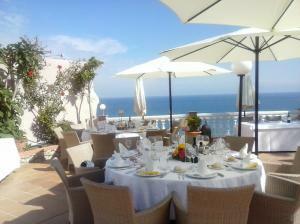 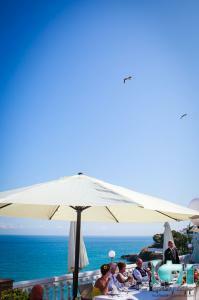 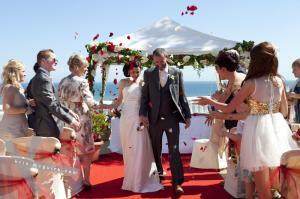 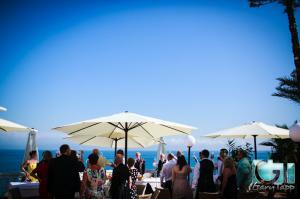 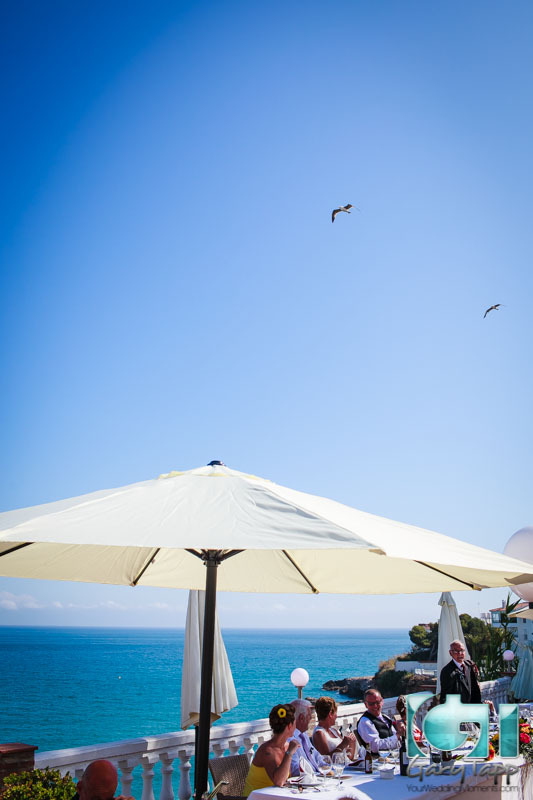 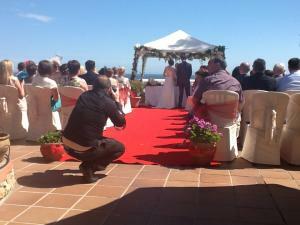 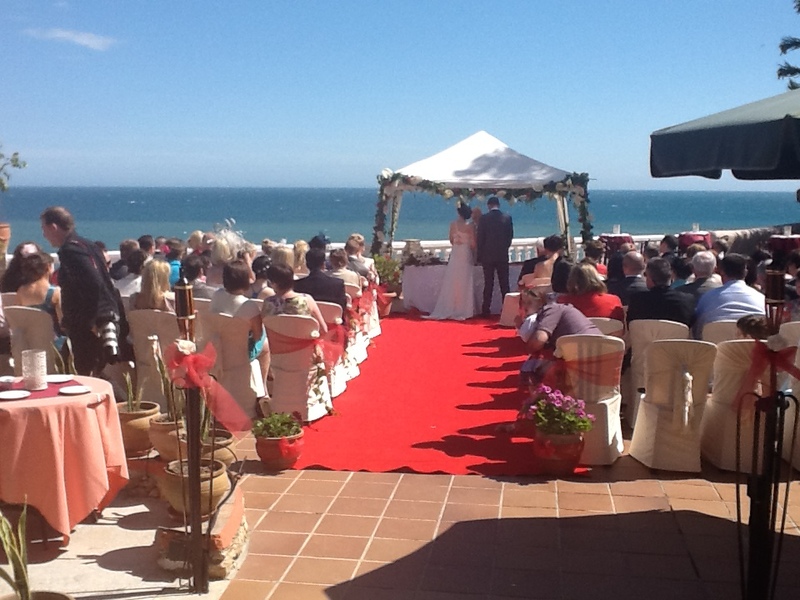 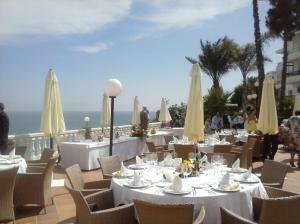 This large venue has a sea view terrace where we perform the blessing ceremony then take drinks and canapés. 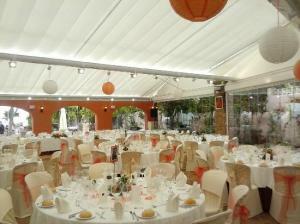 Next we move to the covered, air conditioned terrace for the wedding meal. 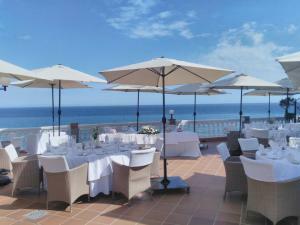 Afterwards we take the guests back out to the seaview terrace for live music and dancing until 23.30h. Take a stroll down the beach for photos of have your own fireworks display. Guests can stay here for quiet drinks or (more commonly) we lead the guests to nearby private discos for live music/djs and dancing until 03.30/04.00h. Professional and courteous staff in a sophisticated, fine dining venue, offering a fabulous 3 or 4 course menu to choose from. 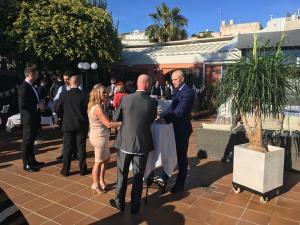 Min 6000€ spend overall to ensure venue is private. 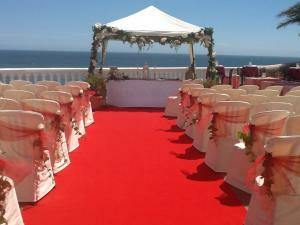 Wedding season is from 20th Sep to 19th June. Goats cheese salad, Sea bass or Pork Fillet, wedding cake 73€ per person (inc. 1hr drinks and canapés reception before the meal, free flowing wine, beer, soft drinks and water, tea and coffee during the meal, flowers and personalized printed menus).